Do you remember where you were when you first learned there were over seven million books in the Amazon Kindle Store? Hopefully it wasn’t just a moment ago. It’s a staggering number, especially when you are about to release your first book. Hell, let’s be honest, it’s staggering even if you’re releasing your fiftieth book, but as difficult as it might seem, there are ways for you to reduce that number. My writing career officially began in 2012, when I sat down and began work on my first mystery novel, Perfect Pawn, but its foundation dates back to a conversation I had with my wife in 2001. I’m glad I didn’t know back then the extent of the daunting road that lay ahead for me. As I mentioned last week, I have authored a total of ten books, along with two novellas, and I am currently writing my latest work-in-progress. During that time I have done a lot of things right, but an even greater amount of things wrong. As an up and coming author, you need to accept that when you put the proverbially: The End, on your book, it is a lie. It would be nice if it was true, but that’s just not reality. Your job as an indie author is more like that of a general contractor. Now that the foundation is complete, you have to focus on getting the rest of the job finished. If you read last week’s post: Challenges For Writers, maybe you decided that cover design, editing and formatting just isn’t your thing. I can’t find fault with that thinking because not everyone has the time or the background to undertake those tasks. Most indie authors have full time jobs, so focusing on writing when you can, and outsourcing the other stuff, is probably the best option. But there are things beyond those critical issues that you will also need to address. For the most part, when authors such as James Patterson, Lee Child, or J.D. Robb finish a book they do a lateral pass and their publishing houses take over. As an indie author, you are that publishing house. 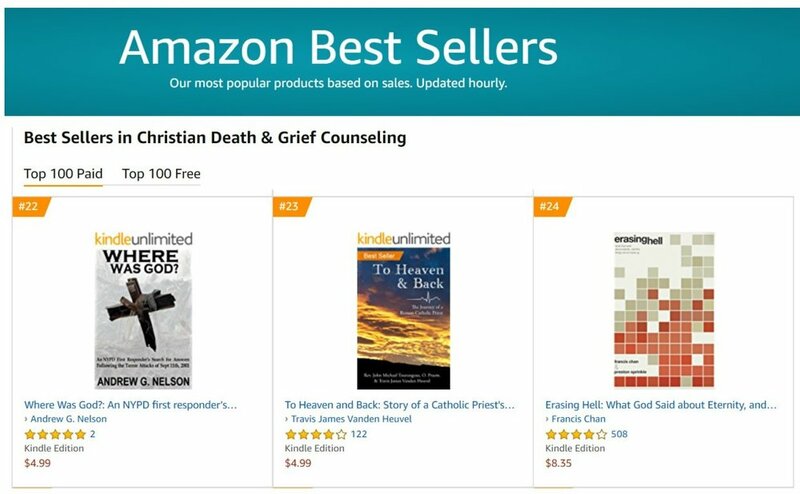 This means that if you want to effectively compete against those seven million other books on the market you are going to have to do some heavy lifting for yourself. This is where the proverbial rubber hits the road. I would love to be able to tell you what to do, but as I previously mentioned, I am still learning as well. I can only give you advice about what hasn’t worked for me. At the end of the day, it doesn’t matter what everyone else is doing, all that matters is what you are doing. I’d originally wanted to address several topics in this post, but I realized it was getting a bit long. So I decided to address them individually. This week I am going to touch on the topic of Reviews. In the upcoming weeks I will talk such issues as: Social Media, Publicity, Stagnant Sales, Keywords and Ads. Begging for Reviews – Go on Amazon and look at your nearest competitor and marvel at the astronomical review numbers they have. All of a sudden that concept of ‘redistribution’ begins to sound a lot more palatable. Once you start to compare your numbers against theirs its hard not to get bummed out. Hell, you might even begin to wonder if your own mother hates you. I mean, she still hasn’t written a review for you and you gave her that free book years ago. Trust me, you’re not alone. I can’t begin to tell you the number of free books I have given out to family and friends over the years, but I can tell you the number of reviews that it has generated; which coincidentally is the same number of Super Bowl appearances by the Detroit Lions: ZERO. Since that article, I have reached the conclusion that it is just not worth the effort, at least when it comes to your inner circle. Here is my advice to you: Stop asking and if you feel like giving a book away for free, do it without any thought that you will get a review. You’ll save yourself from a lot of disappointment. Your focus should be generating enough sales of your book(s) from other sources that will lead to organic reviews. What you (and potential readers) want to see on your Amazon Review page are the ones listed as: Verified Purchase. This means that the review is an organic one from someone who purchased it through Amazon. You know who also likes it? Amazon and their algorithms. Beyond that, are the reviews by folks listed as: #1 REVIEWER, TOP 10 REVIEWER, TOP 50 REVIEWER, TOP 100 REVIEWER, TOP 500 REVIEWER, TOP 1000 REVIEWER, HALL OF FAME REVIEWER. Next to the aforementioned James Patterson endorsing your book, nothing says ‘buy me’ more than a review from an established Amazon Reviewer. That being said, you want those reviews to be 4 & 5 stars, so it behooves you to make sure your book is the best it can be when you publish it. Next up I will be discussing the topic of Social Media. When you give the gift of reading, you give the gift of wonder. Growing up, I always had a book nearby. Whether it was science fiction by Frank Herbert or a police procedural by Joe Wambaugh, I enjoyed the experience of being immersed in another world. It is one of the reasons I enjoy writing. This Christmas, I am making my debut novel, Perfect Pawn, available on the Amazon Kindle e-Book platform for only $.99. Starting December 24th, 2018 (8 a.m. PST) and running through December 31st, 2018 (12 a.m. PST) you can dive head first into the world of James Maguire, a former U.S. Navy SEAL and retired NYPD detective. This page turning literary roller-coaster ride will take you from the concrete jungle of New York City to the idyllic mountains of upstate New York and beyond. This Christmas, give yourself a gift that the only regret you’ll have is why you didn’t read it sooner. Don’t forget to sign up for my FREE monthly NEWSLETTER.